Led by Ryan Keberle, #1 Rising Star Trombonist in the Downbeat International Critics Poll, Catharsis has been hailed by the Los Angeles Times for its “potent blend of cinematic sweep and lush, ear-grabbing melodies.” The highly acclaimed piano-less group brings together elements of chamber music, South American folk and indie rock within a traditional jazz framework, resulting in a sound that has thrilled audiences across the globe for close to a decade. In Catharsis, the potent frontline rapport of Keberle and legendary saxophonist Scott Robinson and the unshakable rhythm of bassist Jorge Roeder and drummer Eric Doob combine in a sound full of drama and intrigue. The vocals of rising star Sarah Elizabeth Charles have also come to shape the band’s chemistry and unmistakable ensemble sound. The band debuted in 2012 with Music Is Emotion, followed by Into the Zone in 2014 and Azul Infinito in 2016 (the latter two released on Dave Douglas’s Greenleaf label). Billboard picked Azul Infinito as one of “five jazz albums you need to hear.” In 2017 Catharis turned its attention to political turmoil in the U.S. with the protest album Find the Common, Shine a Light, praised by The Nation as “unpretentiously intelligent and profoundly moving.” Find the Common also saw Keberle emerging as a solid performing keyboardist (his first instrument). 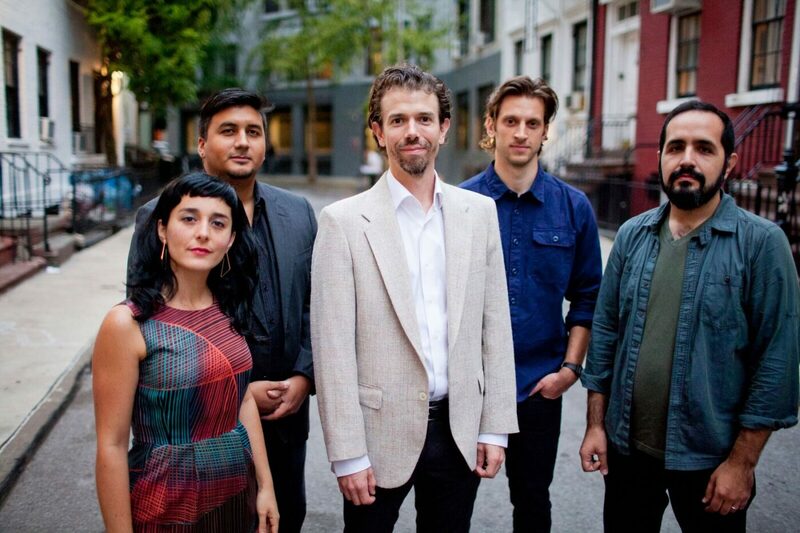 Catharsis has toured internationally for years, engaging audiences at the Toronto, Ottawa, Rochester and Bergamo International Jazz Festivals, and at premier jazz clubs including Pizza Express (London), Le Duc des Lombards (Paris), Stadtgarten (Cologne), Jazz Standard and Jazz at Lincoln Center (New York) and bluewhale (Los Angeles). The band was also featured in NPR’s prestigious Tiny Desk Concert series and on the French TV channel Mezzo. Catharsis band members bring an impressive wealth of experience of their own, playing an integral role in many of today’s foremost jazz and Latin jazz ensembles, including bands led by Maria Schneider, Gary Burton, Mingus Big Band, Julian Lage, Paquito D’Rivera and Miguel Zenon.